Since the french artist behind the Space Invader project stayed in Vienna for an artist in residence program a couple of years ago, the city is home to a good number of the small coloured mosaics. I always lighten up if I find a space invader on a wall somewhere, that I haven’t known before. And if I see one, that I have seen before, for that matter. 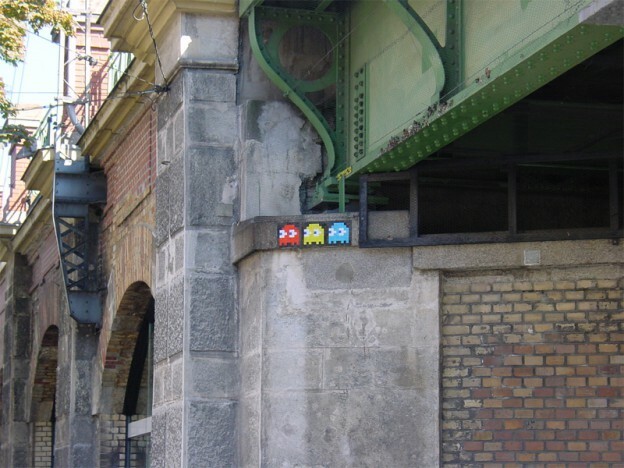 This space invader can be found close to the rhiz club on Vienna’s Gürtel, located on a bridge pillar of underground line U6.